If you’ve ever delivered packages for a bit of extra spending money, you’re no doubt aware of just how tough it can be to squeeze in stops along a route. Efficiency is the name of the game, and unless you’re a math whiz with a lot of time on your hands, figuring out the fastest path to a destination can be an exercise in frustration. Thankfully, Bing has your back. Microsoft today announced an improved Bing Maps routing API that uses algorithmic path modeling to save on route time and distance. It automatically reorders stops (up to a total of 25) and uses actual road distance for optimization, which the Bing Maps team claims is “much more accurate” compared to systems that take a straight-line approach. In a demonstration of the new routing API’s capabilities, the Bing Maps team mapped out a theoretical 6-stop delivery path in Kansas City. The unoptimized route was 131 miles in total, with a driving duration of nearly three hours. Bing’s optimization reduced it to about 100 miles and two and a half hours. Route optimization is the name of the game in delivery. A British study conducted by researchers from Plymouth University, Cardiff University, Heriot-Watt University, and the Sainsbury’s supermarket chain in the U.K. found that 2.62 percent of total delivery time is taken up by delays such as road restrictions and traffic congestion. No more labels are used than necessary for the whole polynomial (number of distinct labels equals overall order of polynomial in all its variables). The result is not unique, but observe that the expanded form satisfies both requirements 1 and 2. It is not necessary that terms with fewer factors use specific labels in any order: for example a labeling of the polynomial in which the 2nd last term of the expanded form is h i j (missing label 2) or in which the last term is k is acceptable. Moreover I’d like a solution that is faster than just expanding the polynomial and labeling each term. and raising/lowering the value of the label based on whether it passes through Plus or Times. Unfortunately, none of my solutions based on this give the correct answer. Got an interesting question recently where someone wanted to be able to switch the relationships automatically based on which slicer was selected. Here we have the same customer slicer shown twice, in this case we want to slice by customer but if the user uses the ‘baseline customer’ slicer the data should only filter on the ‘Baseline customer’ table and ignore the ‘Real customer’ slicer regardless if it is set. Next I add relationships for both. This is optional for baselineregion, it depends on what else you want to do with it. This solution will ignore it anyway but other measures will be affected. Now for the final step some real DAX magic using my new favorite function TREATAS, inspired by Srini one of main DAX developers on Power BI and major DAX overlord. Ready? This measure will detect which relationship is used and set the according filter. We are using TREATAS to join the fact table with the correct dimension table, the results of this join are stored in a variable as a table. We use UNION and ISCROSFILTERED to determine which table to use in the join. You can think of this as an workaround for table expressions not supporting IF. When the ‘baseline customer’ table is filtered it returns a table of selected CustomerKeys from the ‘baseline customer’ table, each row is are FILTERed by “TRUE” (being the result of ISCROSSFILTERED). All rows of regular customer table will filtered out by the “FALSE” (again being the result of NOT CROSSFILTERED). When the Baseline customer is not filtered the reverse will happen. A genius solution if you ask me (again full credits go to Srini). Finally in returning the results, we use CALCULATE to change the filter context. By using ALL we overwrite any filters set directly on the dimension table and propagate our own filters that is getting returned from the variables. That’s it. One thing to remember of course is that performance will not be as optimal as using real relationships, Marco and Alberto described this in a great blog post here. You can download the workbook here. One of my favourite features in Excel and Power BI is Power Query / M – and I just wanted to share a small trick when you want to filter a table on specific items. Notice that it M creates an expression that excludes 6 and 7 and not specifically selects the 3, 4 and 5 – this means that when new customer categories is created they will be included in your query as well – perhaps not what you intended!! So, it seems that if you pick more than half it will build and expression with and <> statement instead of and equal statement. The platform for comparisons of business software and services, which are based on user ratings and social data, has named NetSuite a Leader in its Fall 2017 Accounting Report. 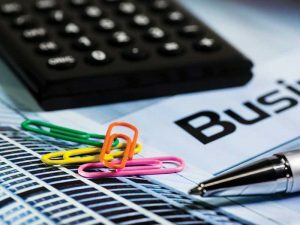 Learn more about NetSuite’s financial management features. 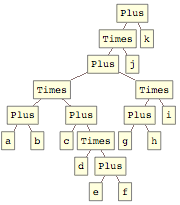 Filter data based on a comma separated list using CALCULATE and PATHCONTAINS, even with external models! This measure uses variables for readability. The colorlist variable is used to get the values of the colorlist and then replace the , for | characters as needed for the path functions, then I trim and clean up the spaces. using TRIM and SUBSTITUTE. The result is returned in the colorlist variable. Next I use our favorite function CALCULATE to determine whether or not each row in the DimProduct[Colorname] is part of the colorlist, the PATHCONTAINS function will return TRUE whenever the value of the colorname is part of the colorlist list and thus calculate the SUM for those colors. and it does. So voila now you can let users type in their selection into a measure. Now this only works when you have access to the model but you can also do this using Power BI desktop pointing to an external model (either SSAS or a model already hosted in Power BI) in the same fashion. Now your users can connect to an external model and create their own custom selections! I have uploaded the workbook here. Fledgling insurance startup Sure has raised $ 8 million in a series A round of funding led by IA Capital, with contributions from Menlo Ventures, FF Venture Capital, Nationwide Ventures, Assurant, and AmTrust. Founded out of New York in 2014, Sure is one of a number of insurtech startups to come to the fore in recent years, promising on-demand coverage for everything from apartments to pets, flight cancellations, and weddings. The company also said it uses an AI-powered “robo broker” to help users find the best insurance. Available on the web and through native mobile apps on Android and iOS, Sure doesn’t underwrite its own policies, instead focusing on building the technology while it partners with insurance firms such as Chubb and Nationwide, which do the underwriting on its behalf. Alongside today’s funding news, Sure is launching what it touts as a “first-of-its-kind smartphone protection” product. The insurance can be purchased any time during a mobile phone’s lifetime, with Sure able to remotely test the health of a device before issuing a policy. The technology, which Sure said is “patent pending,” allows the company to carry out diagnostics in less than a minute directly through the Sure mobile app and test things like battery, memory, CPU, and more entirely autonomously. Though much of the test requires no human interaction, some of the specific feature diagnostics do require input. The touchscreen test, for example, asks the user to color the entire screen blue with their finger. For the smartphone insurance, Sure has partnered with Warrantech, an offshoot of AmTrust — the insurance giant that participated in this latest round of funding. While it’s true that some insurtech startups are setting out to underwrite their own policies — including the likes of Lemonade, which recently launched in California, its third market — many others are taking the “contrarian” approach through partnering with existing giants of the insurance world. These include Hippo, which recently raised $ 14 million to grow its home insurance platform; on-demand insurance platform Trov, which just raised $ 45 million ahead of its U.S. launch; and Next Insurance, which recently grabbed $ 29 million for an online platform that targets small businesses with tailored plans. Using third-party underwriters rather than seeking licences in each state has enabled Sure to scale more quickly across the U.S. and is why other similar startups are adopting this approach. Prior to now, Sure had raised around $ 3 million in seed funding, and with its latest cash injection the company said it plans to double down on its product development, acquire new users, and invest in marketing. Did you know that you can create or update multiple records at one time, using automated rules? Today’s blog will tell you more about this handy feature and how to make it work for you! This feature allows users to use multiple activity types (Appointment, Email, Phone call, Task, Service and Custom activities) to create or update records automatically. 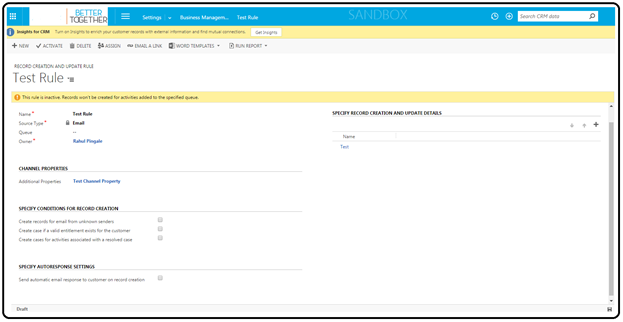 Rules can create multiple CRM records from one activity type and increase the efficiency of automatic record creation. Automatic record creation or update, eliminates the need of manually writing any code. Nice, right?! While creating a rule, you need to define the conditions to create or update records into the system. You can also define post record creation or update actions. To enable the rule to update records, you must add an update step to the rule. You can collect additional information for the activity record by defining some channel properties while creating a rule. This requires a use of JSON parameter attribute from activity. Once all rule creation/configuration is done, you will need to activate the rule which creates an out of the box workflow. 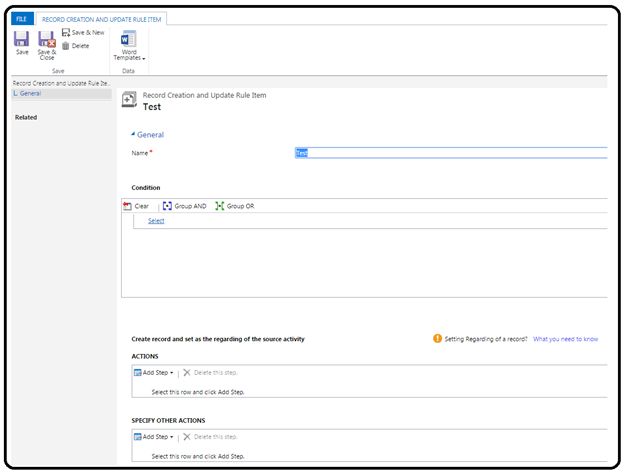 The rule is able to read the incoming source activity data and to create or update records into the CRM system for Dynamics 365. 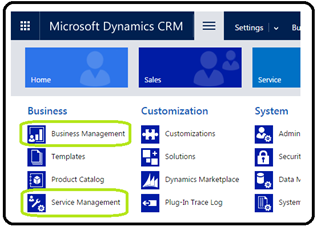 Similarly to all other CRM components or Web resources, rules can be added to the CRM solution and can be exported and imported to other Dynamics 365 organizations. Note: You need to have the customer service, sales manager, marketing manager or equivalent permissions to create and activate rules. Login to CRM and navigate to the Settings tab. Select either the Service Management or Business Management option. Click Automatic Record Creation and Update Rules. Ex: Name, Source Type, Queue etc. In the “Conditions” section, select the record, channel properties, fields, and relational query operators to specify when a target record should be created or updated. After the rule is activated, the only way to change the rule is to first deactivate it. Open the rule, and on the command bar, click the Deactivate option and viola – you are good to go! To stay on top of all things Microsoft Dynamics 365, check out our daily blog and signup for our CRM Newsletter.